Who shouldn’t take the pill? All entering first-time students (including transfer students), taking nine or more credits, MUST submit Health Information, Immunization, and Tuberculosis Screening forms to the Student Health Center. UMW Health History, Immunization and TB Screening forms : The Health Information form is to be completed by the student or guardian. The Immunization and Tuberculosis Screening sections need to be verified and signed by a healthcare provider. All forms need to be completed and submitted to the Student Health Center by August 1st if your enrollment starts in the Fall Semester, January 3rd if your enrollment starts in the Spring Semester, or May 1st if your enrollment starts in the Summer Semester. The Student Health Center (SHC) is a weekday health clinic for UMW students. Our care focuses on routine and acute health care needs of our student population. This would include initial diagnosis and treatment of acute illnesses and/or injuries with appropriate follow up for most short-term illnesses. On site specialty care includes reproductive and sexual health services , allergy clinic, travel consultations, and some immunizations. Our providers are experienced in treating common medical problems seen on college campuses and are advocates of a holistic approach to health care. We hope to empower students to become partners in managing their health/wellness needs through education and prevention. The SHC provides in house rapid tests for Strep, urinalysis, urine pregnancy, influenza, and Mono-spot. If any blood draw or x-rays are needed, these services are available at nearby local facilities and will be billed to student’s insurance. There is an on-site pharmacy that has some basic generic medications that can be dispensed when ordered by our physician. For the convenience of our students, the SHC provides samples of common over-the-counter (OTC) medications in our Self Care Room and at appointments. Their Student Account or Eagle One Card will be charged a nominal fee for medication dispensed, tests, or procedures done at the visit. 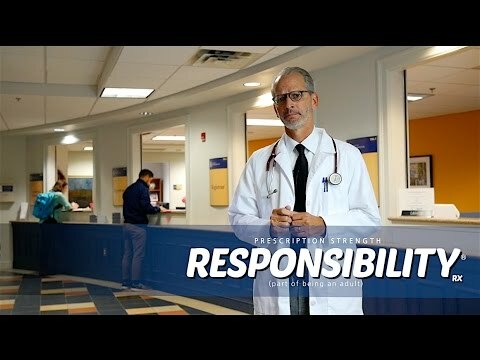 Written prescription given to students can be filled and paid for at any local pharmacy. In the event a student requires emergency or specialized medical care, the SHC staff will assist the student in making that process as smooth as possible. The SHC does not participate in any insurance plans and thus cannot do any medication and/or specialist prior authorization. While insurance is not required to be seen in the SHC, it is highly encouraged as it will decrease out-of-pocket costs and stress if outside services are needed. Students are treated in compliance with FERPA/HIPPA regulations, maintaining complete confidentiality. Their medical information can only be released after a written request has been submitted. If you have a medical concern, please call to make an appointment. Walk-ins are welcome, and are seen on a first come first served basis. When leaving home for the first time, it is hard to think of everything you might need. Check out our list of easily forgotten items that may make life easier.